From the beginning, the agency sold both train and ship tickets growing with every passing year. La ter airline tickets, hotel, car rentals and tour packages were added. 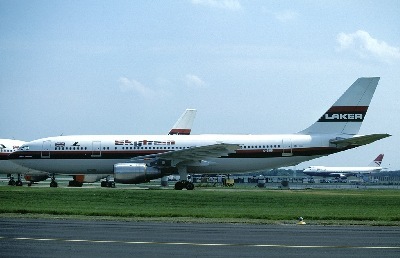 In 1977 Laker Airways began flying from London to New York. Due to traffic restrictions, Laker initially received approval to fly only to New York. Therefore, they began a charter program. One of the top destinations from London became San Francisco. The charter operation was called 'Skytours'.. The planes were called "Skytrains" see photo. When Laker folded, the San Francisco Skytours office was purchased by Henrick (Håkan) Hervall when he was 23 years old Skytours San Francisco became of one the Bay Areas largest seller of discounted airline tickets. In 1999 Redwood Travel was purchased by Skytours and we were able to take advantage of each others strengths. 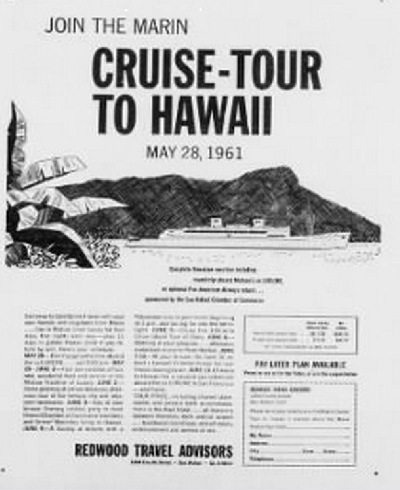 After Elly Stahl travel in Corte Madera, was acquired, the agency now had specialists in all fields of travel - corporate, leisure, group and handled all travel AIR, LAND or SEA. We now offer a full selection of travel services: discounted airline tickets, hotel accommodations, car rentals, cruises and tour packages. We do corporate travel as well as groups as large as 1,000+! In short if you are traveling, we can help.